Arlington, TX - It is recommended that Residents recycle Christmas trees by taking them to the mulching facility Center at the Arlington Landfill free of charge. Christmas Tree recycling will be held from December 26th through January 11th. The landfill is located at 800 Mosier Valley Road and Collins Street about one mile north of Green Oaks Blvd. and is open Monday through Saturday from 7 am until 4:30 pm, weather permitting. Arlington residents may also drop off live Christmas trees to be recycled at the Calloway's Nursery located at 4940 S. Cooper Street. Christmas trees should be loaded into one of the containers on the north side of the building during business hours only. Please do not place next to containers. Please remove all ornaments, lights, tree stands, and plastic bags. Flocked trees are acceptable. If you have questions about the landfill, please call 817-354-2300. Free mulch made from recycled Christmas trees and leaves collected through the leaf drop off locations, will be available to Arlington residents in the spring. Please call the City's Action Center at 817-459-6777 for more information. Austin - Click here for locations, updated information and more details. City of Austin curbside customers can recycle their trees by leaving them at the curb on their regular collection day. All other residents can drop trees off at Zilker Park, the first two weekends in January. Please remove all decorations from tree. Trees will be composted into Dillo Dirt(TM). City of Austin curbside customers can recycle their trees by leaving them at the curb on their regular collection day. All other residents can drop trees off at Zilker Park. Magnolia Park, 2855 Magnolia Ave.
Sprott Park, 4325 Usan St. The drop-off service is available through the second Friday in January. Trees should be free of all decorations and stands. Trees also can be placed on the curb, and will be picked up during regular collection days. Commercial drop-off is not permitted. Christmas trees - along with other collected yard waste - is converted into mulch. Citizens are welcome to collect free much every Saturday between 7 a.m. and 1 p.m. at the city's landfill, located at 4955 Laffin Road in Beaumont. Dallas - Please remove all tinsel, ornaments, lights and rope before you set out or drop off your tree. Note: A visitor tell sme that Home Depot is not taking trees this year. 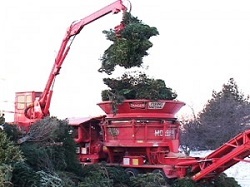 Residents can also put their tree out for their regular brush / bulk pickup. Call the Dallas Zero Waste Hotline at 214-670-4475 for drop-off times and more information.Bring your real tree to the McCommas Bluff Landfill or the Northwest Transfer Station through Tuesday, January 6 to be recycled. McCommas Bluff Landfill: 5100 Youngblood Rd, 75241. El Paso, TX - Take your Christmas trees to any of the locations below to be recycled into mulch at not charge! Locations are open from 8 a.m. to 4 p.m. Tuesday through Saturday, closed on New Year's Eve and New Year's Day. Besides fresh trees, residents are also encouraged to recycle their cardboard gift boxes, wrapping paper, and holiday cards, all of which are accepted at the Citizen Collection Stations or in blue household recycling bins. Materials that cannot be recycled include: metallic wrapping paper, bows, ribbons, and foam. These items should be placed in the gray trash bins. To learn more, visit www.elpasotexas.gov/environmental-services or call 311. Hours: Monday-Friday: 8 a.m.-6 p.m. Saturday: 8 a.m.-5 p.m. Closed Sunday. Closed Thanksgiving Day, Christmas Day and New Year's Day. Stations close at 5 p.m. the day before holidays. Click here for locations, updated information and more details. Grapevine, TX - Put your tree out at the curb the night before, free of decorations and tinsel on January 4th & 17th, 2018 - Christmas Tree & Clean Brush Curbside Recycling Day Phone 817-410-3330 Plus Other Christmas Recycling Opportunities! Roll off Recycle Containers.jpg Cardboard: Cardboard boxes may be broken down and placed out for curbside recycling. Large amounts of cardboard may be brought to the Single Stream Recycling Container also located in the Animal Shelter parking lot (502 Shady Brook Drive). Please contact the City's Environmental Services Division (817-410-3330) with any questions you might have regarding recycling this holiday season! Please contact the City's Environmental Services Division (817-410-3330) with any questions you might have regarding recycling this holiday season! Houston, TX - Click here for locations, updated information and more details. Residents with City of Houston collection may place their tree curbside on their scheduled Tree Waste day and it will be recycled. The trees must have all decorations, ornaments, tinsel, lights and stands removed. Flocked trees cannot be recycled. Residents can also recycle their trees by dropping them off at one of eighteen (26) free, drop-off, recycling sites located throughout Houston. The program runs from December 26, to second Monday (start counting Mondays AFTER New Year's Day) in January. All facilities are closed New Year's Day, January 1st. In addition to the drop-off locations, Trees that are collected for recycling will be ground into mulch that is available in bulk directly from Living Earth or available in bags as Living Earth Houston Mulch sold at Houston area retailers. Trees may be dropped off at the following eighteen (18) locations city-wide, listed by open hours:. Living Earth - 5802 Crawford Rd. For more information about the City of Houston Solid Waste Management Department and its services, residents may check online, like us on Facebook follow us on twitter @houstontrash or call 3-1-1, the City of Houston's Customer Service Helpline. Lubbock, TX - Click here for locations, updated information and more details. Christmas Tree Recycling - Beginning, December 26th, the Solid Waste Services department will offer residents fresh cut Christmas tree Drop-off Recycling at the 2 permanent drop-off locations. Residents need to remove all decorations, metal stand, and any plastic before placing the fresh-cut Christmas tree in the roll-off located outside the gates at the 208 Municipal Drive and 1631 84th Street drop-off locations. Starting January 7, 2019, and throughout the month of January, the roll-offs will be located inside the gates. Residents can drop off fresh-cut Christmas trees from 8 a.m. to 5:30 p.m. Monday to Saturday. For those of you who want to help restore our "Brazoria County" sand dunes via the Dunes Day Project take your Christmas tree to the Stella Roberts Recycling Center, 5800 Magnolia Dr. in Pearland, Texas during the centers operating hours, Tuesday - Friday 8 a.m. - 5 p.m., Saturday 9 a.m. - 1 p.m. - those dumping outside the gate when the center is closed can be fined up to $200. Trees will be accepted from Dec. 27 to Jan. 12. Trees for the Dunes Project will also be accepted at the Brazoria County Precinct 2 Work Yard 7315 Corporate Dr. in Manvel, Texas during the yards operating hours, Monday to Thursday 7:30 a.m. - 5:30 p.m. This work yard is approximately 2 miles east of the SH288 and SH6 intersection. It is behind the Brazoria County Service Center (turn onto Corporate drive and pass the service center building). There is a cable link fence surrounding the work yard, with a gate that is unlocked during operating hours. If you can't transport your tree, you live in a single-family dwelling and you are within Pearland City of limits, your tree can be set out curbside on your green waste day. These trees will go to a commercial composting facility where they are chopped up for mulch at the facility along with the rest of your green waste. For more information about recycling, log on to mykpb.org or call 281.489.2795. Carpenter Park, 6701 Colt Road, Plano, TX 75024. Old Shepherd Place Park, 1301 Winding Hollow Lane, , Plano, TX 75093. Schell Park, 2100 Laurel Lane, Plano, TX 75074. Call 972-769-4150 for more information. decorations will be accepted FREE OF CHARGE from December 26th to January 1st. All items must be free of lights, ornaments, metal, flocking, and other non-living contaminants. Customers of the City of San Antonio Solid Waste Department can turn their live Christmas trees into mulch by bringing them to one of nine locations from 8 a.m.-1 p.m. on January 6, 7, 13 and 14 in 2019 Residents who do not receive regular curbside collection from the Solid Waste Department for trash, recycling or organics but who do pay the environmental fee on their CPS Energy bill may participate as well. In addition to these special dates and locations, the Bitters Brush and Nelson Gardens locations are open most every day from 8 a.m.-5 p.m. and will accept trees the entire month of January. Christmas trees can also be placed in the green organics carts for regular curbside collection service, but must fit loosely in the cart with the lid able to close. Cut the tree into sections if necessary. In one to two weeks after the special drop-off dates, free mulch will be available at the Bitters Brush and Nelson Gardens locations while supplies last. Visit www.sanantonio.gov/swmdfor more information. Tyler, Texas - Each year on the day following Christmas until the second Sunday of January, the City of Tyler Solid Waste Department and Keep Tyler Beautiful provides two locations for Christmas tree recycling. Residents can drop off their undecorated, non-flocked natural Christmas trees in designated areas at Golden Road Park and Fun Forest Park in Tyler. Golden Road Park is located at the intersection of McDonald Road and Golden Road. Fun Forest Park is located in the 900 block of North Glenwood Boulevard. All lights, ornaments, garland and tinsel should be removed from the Christmas tree before dropping it off near the sign that says "Christmas Tree Recycling." The trees at the parks are available for area fishermen to pick up and sink in nearby lakes to create fish habitats. Small fish eat the aquatic insects that find a home in the tree branches. The fish also use the trees as a hiding place. As a result, the fishing is improved around the "recycled trees" because more fish congregate in these areas. 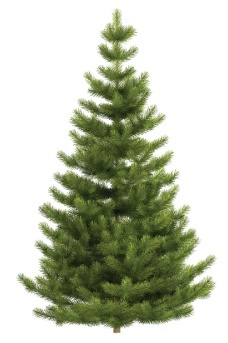 Christmas trees will also be picked up at the curb for disposal at the landfill. Only non-flocked natural trees deposited at Fun Forest Park and Golden Road Park will be recycled. Flocking and tinsel may be hazardous to the fish and waterfowl. Flocking may also contribute to water pollution. Waco, TX - Keep Waco Beautiful will host its annual "Chipping of the Green" Christmas tree recycling event, Saturday, January 9th at Paul Tyson Field Parking lot, on Lake Air Drive (just past the horse barn area of the Coliseum), from 10:00 a.m. until 3:00 p.m. After the holidays, load up your Christmas tree, bring it to be recycled, and receive a bag of wonderfully scented tree mulch plus a native Texas sapling. Mulching your tree is a wonderful way to end your holiday season and planting a native tree sapling is a great beginning to the New Year! For questions, call Keep Waco Beautiful at 750-5728 or email Sherri Street at: sherri6491@aol.com. And Click here for locations, updated information and more details. 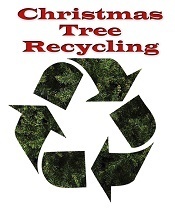 Williamson County, TX - Rsidents can recycle Christmas trees at the Williamson County Landfill & Recycling Center. The landfill is located at 600 Landfill Road, between Highway 79 and Highway 29.